Provide comfort for the family of Kathleen Smith with a meaningful gesture of sympathy. Kathleen (Mitchell) Smith, 83, of Franklin, IN, passed away Monday, March 25, 2019 at her residence surrounded by her family. She was born September 27, 1935 in Trafalgar, IN to Thomas Benjamin Mitchell and Bertha Lucille (Calvert) Mitchell. She married Merrill W. Smith on March 29, 1955 at the Trafalgar Christian Church, he survives. She was a 1953 graduate of Trafalgar High School and attended Franklin College. Kathleen had been a teacher’s aide at Hopewell Elementary School and worked alongside her husband farming, assisting in the many responsibilities of a faithful farmer’s wife. She was a member of Hopewell Presbyterian Church in Franklin, IN as well as the Trafalgar Order of the Eastern Star, where she was past Matron of Honor. In addition, she was a member of the Chat & Do Home Economic Club. She was very involved in Johnson County 4-H, including being a member of the Johnson County 4-H Marimba Band at 10 years of age, and entering many projects as a member of 4-H and later in life in the open classes at the Johnson County Fair. She enjoyed hardanger embroidery, needle point and spending time with her family in Indiana, Tractor Pull Friends, and friends and community in Florida. Survivors include her husband Merrill W. Smith of Franklin, IN; three sons Terry W. Smith (Jean) of Columbia City, IN, Duane D. Smith (Sherrell) of Noblesville, IN, and Scott A. Smith (Linda) of Franklin, IN; grandchildren Rachel Puls (Dan) of Indianapolis, IN, Stephanie Reed (Chad) of Louisville, KY, Mitchell Smith of Columbia City, IN, Aaron Smith (Bronwen) Smith of Noblesville, IN, Adrienne Noel (Alex) of Noblesville, IN, Chad Smith of Franklin, IN, and Nicole Smith of Southport, IN; great-grandchildren Reese Puls, Delaney Puls, Zoe Noel, and Hailee Robbins; two brothers Keith C. Mitchell (Joanne) of Columbus, IN and Thomas D. Mitchell (Margaret) of Trafalgar, IN; and many nieces and nephews. Pastor Brandon Jolley will conduct a service on Monday, April 1, 2019 at 10:30 A.M. at Swartz Family Community Mortuary and Memorial Center, 300 South U.S. 31 (Morton Street) in Franklin, IN. Friends may call Sunday, March 31 from 2PM till 6PM at the mortuary. Burial will be in Greenlawn Cemetery in Franklin, IN. Memorial contributions may be made to the Hopewell Presbyterian Church, 548 West 100 North, Franklin, IN, 46131. A special thanks to Main Street Hospice. Online condolences may be sent to the family at www.swartzmortuary.com. Information at 317-738-0202. 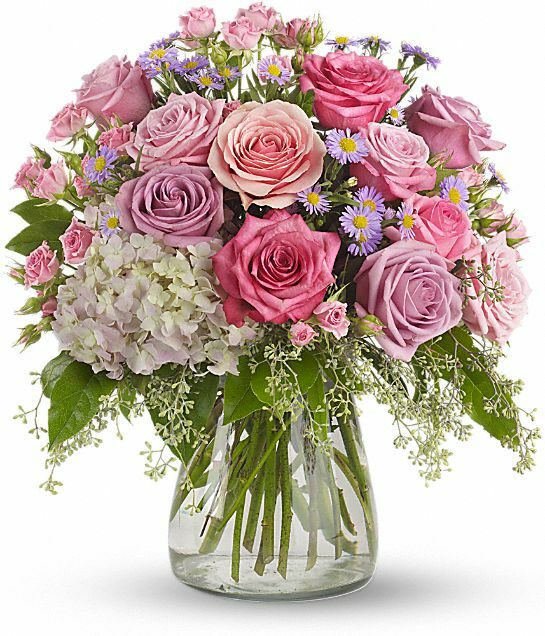 Paul and Valerie Vessely, Tim and Peggy Horner, and others have sent flowers to the family of Kathleen Smith (Mitchell). Paul and Valerie Vessely purchased the Your Light Shines for the family of Kathleen Smith.